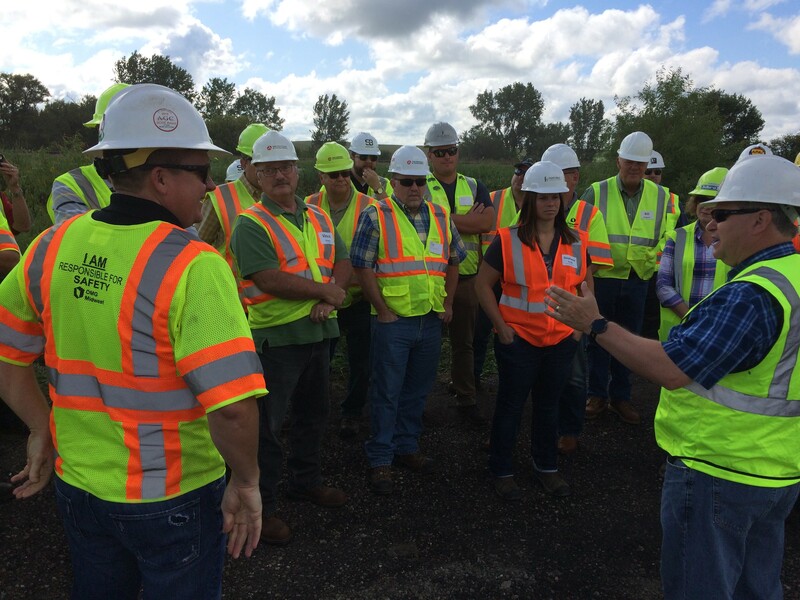 Williams (front right) addresses a group during the Aug. 28 laying of a high RAP section of asphalt pavement. Photos courtesy Bill Rosener, APAI. 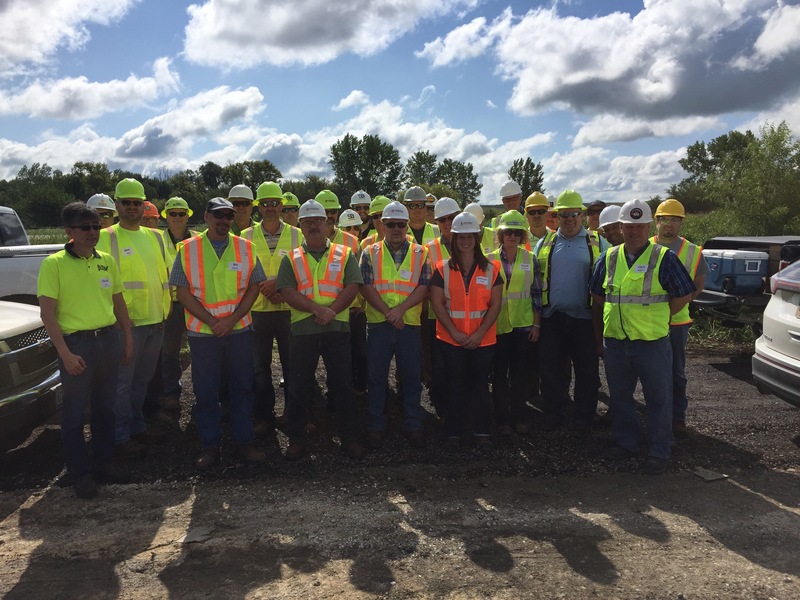 Late last month, a team of Iowa State University (ISU) researchers and industry partners gathered in Crawford County, Iowa, for the unveiling of an exciting development in how engineers use renewable resources in jobsites. Chris Williams is a professor of geotechnical/materials engineering at Iowa State University and a leader in the push to get higher percentages of recycled asphalt pavement, or RAP, into highway projects. RAP, or recycled asphalt pavement, is a process of reusing pavement that has been in service previously. Engineers remove the used asphalt. It’s milled up, treated and then placed back into service. There is a catch. Asphalt binder ages over time. In high RAP mixtures, engineers have to help the aged asphalt achieve the right elastic properties for the new pavement. To do this, they need cost-effective rejuvenators to add to the mix. 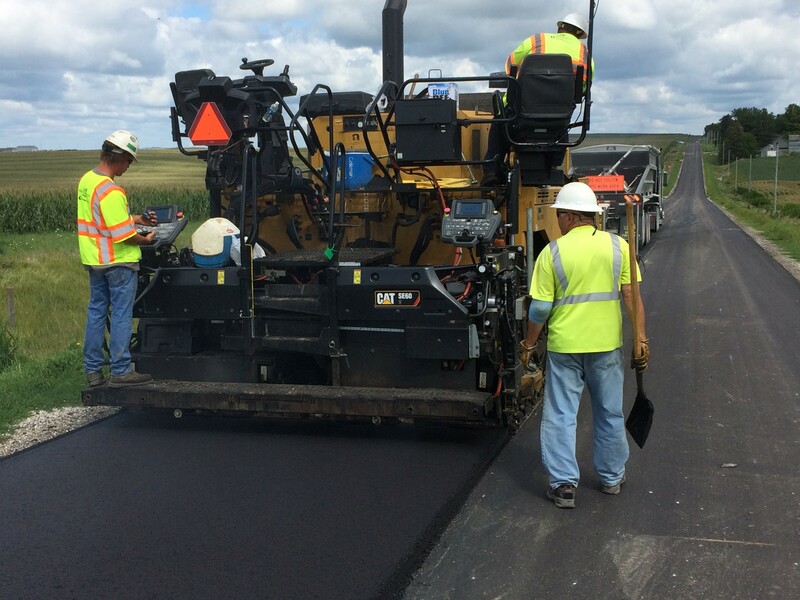 Crews lay high RAP asphalt pavement on a section of road in Crawford County, Iowa. This RAP mixture uses an innovative new rejuvenator. For the past three years, Williams and his team have been working with Eric Cochran, an associate professor in the chemical and biological engineering department at ISU, on an innovative new rejuvenator that will not only be cost-effective for high RAP projects, but can also be incorporated into asphalt production without special equipment. 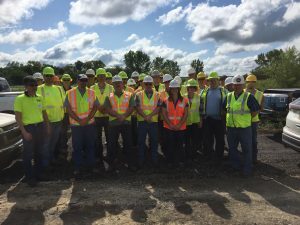 On Aug. 28, Williams and his team joined representatives from the Crawford County Engineering Department, Iowa State University, Jebro Inc., Tri-State Paving Inc. and the Iowa Department of Transportation to unveil a nearly mile-long section of highway paved with a high RAP (30 percent plus) mix. As a comparison, Williams says the standard mix of RAP currently used by state departments of transportation hovers around 15 percent. The rejuvenator is derived from soybean oil and is epoxidized methyl soyate–this is from soybeans grown and produced here in the Midwest. 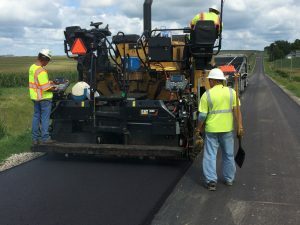 “The construction went really well for the test section, Tri-State received a 4 percent bonus based upon achieving better density/compaction than required, and we are looking at another demonstration project on US-18 in October” Williams says. Groups involved in the high RAP tests include industry, county, state and university partners. The new rejuvenator, which is currently under patent review by the U.S. Patent Office and licensed by Adventus, may help eliminate the need for binder grade adjustments with high RAP mixes. The group will continue to check in on the length of test asphalt for several years to see how the high RAP mix responds to conditions like low temperatures. Post-doctoral researcher Joe Podolsky and doctoral candidate Mohamed Elkashef were instrumental in this work. Keep up-to-date with the latest research by following ISU CCEE on Facebook, Twitter and LinkedIn (Iowa State University Civil, Construction and Environmental Engineering and ISUConE).